In an interesting juxtaposition of events, I was teaching judo yesterday and then came home to finish up our final report on the Dakota Learning Project, which is the official name of the two-year grant we received from the USDA to create math games. Laying out the design of our games, it’s clear that we teach concepts in order of increasing difficulty – makes sense, right? Then, about every level, we re-teach a concept that is a year or so earlier in the curriculum. What is all that about ? Shouldn’t learning be continually going upward? In fact, I talked about that exact point at judo yesterday, telling the students that whether it was math or judo, that you need to go back and review information that you already knew to make sure you understand it. There are many good reasons for this. At least four of them apply to both judo and math. People forget. You may have understood a basic concept when it was originally taught, but it’s been a while, so re-teaching is helpful. Even if you remember 80% of it, math is cumulative, that 20% you don’t get may keep you from solving the next problem. In judo, if you only get the technique 80% right, it likely won’t work. You need to sit on their shoulder when doing an armbar and lock it to your body. Basics form the basis for more complicated techniques. This is true in both math and judo. You can’t add fractions with unlike denominators unless you understand equivalent fractions. 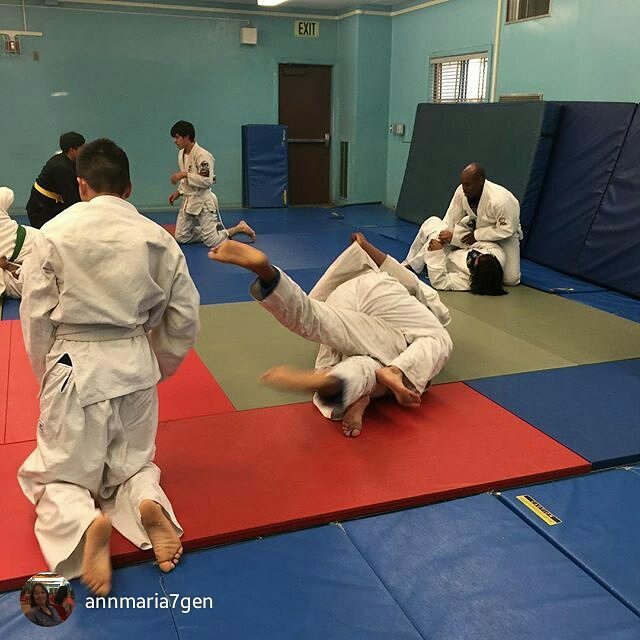 You can’t do two throws in combination and follow up with an arm bar, which is what we taught yesterday, unless you know each of those throws and an arm bar as individual techniques. The more automatic a basic skill is, whether converting fractions or performing a basic judo technique, the more cognitive capacity you have left for the higher level stuff, like combining those techniques on the fly to transition into matwork. Or, comparing two fractions from different years and deciding whether the fishing in an area is getting worse and your tribe is at risk of starving to death. Taking on more challenging tasks can be a little intimidating. Before moving on to something that students will likely find difficult, reviewing something they CAN do well, but which at an earlier time was difficult, can give them a burst of confidence and thus enhance their perseverance when they move on to the next step. Admit it, did you know that teaching math and teaching arm bar combinations had this much in common? If you want to buy these awesome games, we make, click here.